The Honda Livo was first launched in July 2015 as a premium entry-level commuter. The 2017 Honda Livo, just like its siblings, has gained BSIV compliance and Auto Headlamp On (AHO). The 2017 Honda Livo along with meeting new BSIV emission norms also gains AHO. The features list of the Honda Livo includes low resistance HET tyres (patent pending), maintenance free battery and optional front disc brake with Nissin calliper. The bike is suspended over standard telescopic forks in the front and 5-step adjustable dual suspension in the rear. The bike tips the scales at 111 kg for the disc brake trim and has an 180 mm ground clearance. The fuel tank can store 8.5-litre of petrol. Powering the 2017 Honda Livo is the same 109.19 cc single cylinder mill as in the Honda CD110 Dream DX. Coupled to a 4-speed gearbox the engine is capable of producing 8.31 bhp of maximum power at 7,500 rpm and 9.09 Nm of peak torque at 5,000 rpm. The Honda Livo gets 130 mm drum units at both ends while the optional trim gets a 240 mm front disc. Colour options include Sunset Brown Metallic, Athletic Blue Metallic, Black, Pearl Amazing White, Imperial Red Metallic and Matte Axis Grey metallic. 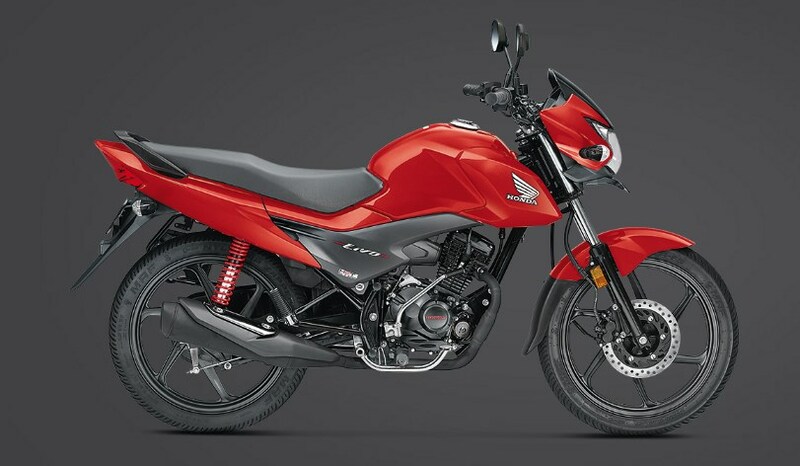 Unlike the Dream series, the Honda Livo is positioned as a premium commuter. The 2017 Honda Livo BSIV has been priced at INR 54,331 for the drum brake variant and INR 56,834 for the optional front disc brake version (both prices ex-showroom, Delhi).